Puzzle games that impress us with their beautiful and compelling design, game features and ability to retain our attention for a long time, are always appraised additionally on Hightechholic. 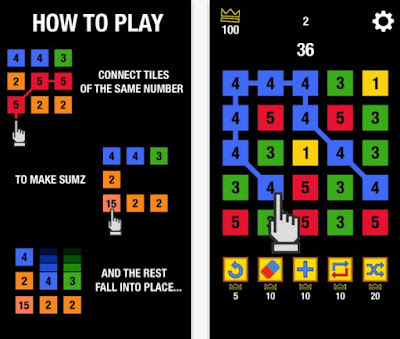 Likewise, sumZ+ is our new favourite puzzle game, thus we’re presenting to you again, like an iOS Game of the Month. 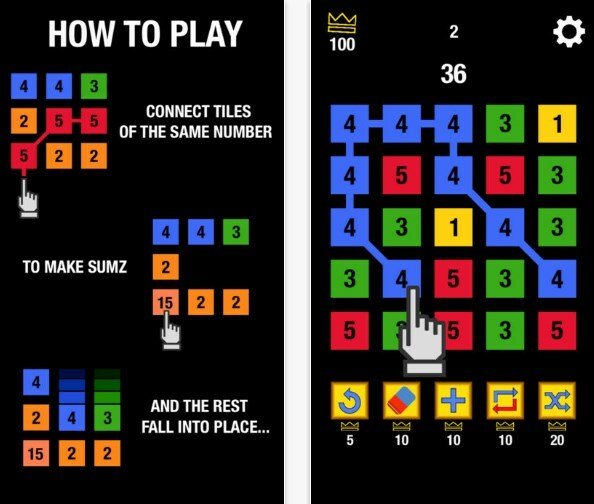 sumZ+ is an entertaining and highly satisfying puzzle game for all puzzle lovers that like playing this type of games on their phones. Developed on IOS platform, this game is easy for playing and offers quite fun and challenging gameplay for pushing the brain to think more logical. The game offers a great design and sounds, keeping the users entertained and making the game interesting always. The users just need to connect number that are same and create sums of them to get high scores. Why do we love this game? 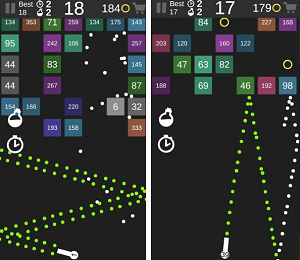 This puzzle game for IOS users is offering a simple and yet addicting gameplay that will satisfy all puzzle lovers. The game is a great choice for on-to-go mobile gaming. The users are asked to connect tiles of like numbers in any direction and create sums of those numbers. When one sum is created, the other numbers fall into place for creating more sums. More tiles connecter, higher scores for the users. Also, when the user creates higher numbers, the game will allow the user to stay longer in this game. The game is offering the users only limited moves for creating the tiles of numbers. When the user rans out of moves, the game is over. But it is quite easy for the game to be started again. Download this game now on App Store for free.